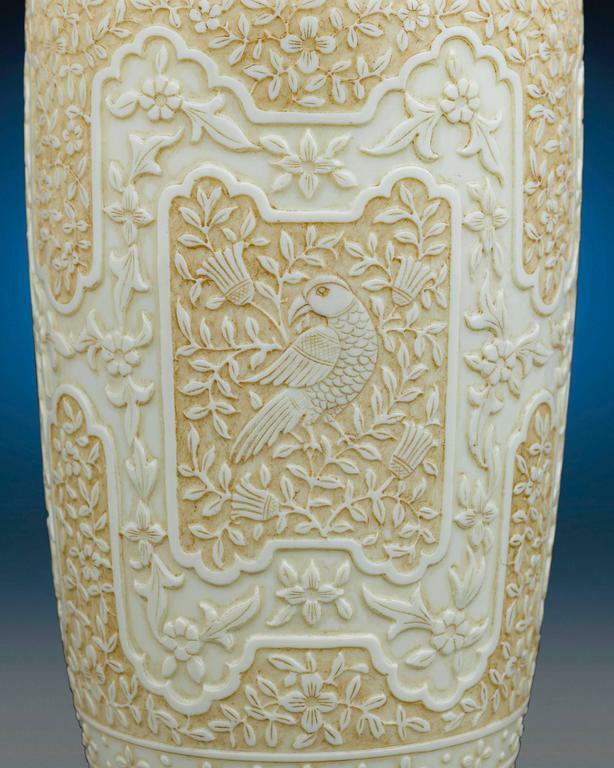 Exquisitely handcrafted to mimic the subtle luxury of ivory, these cameo glass vases by Thomas Webb & Sons are a remarkable rarity. 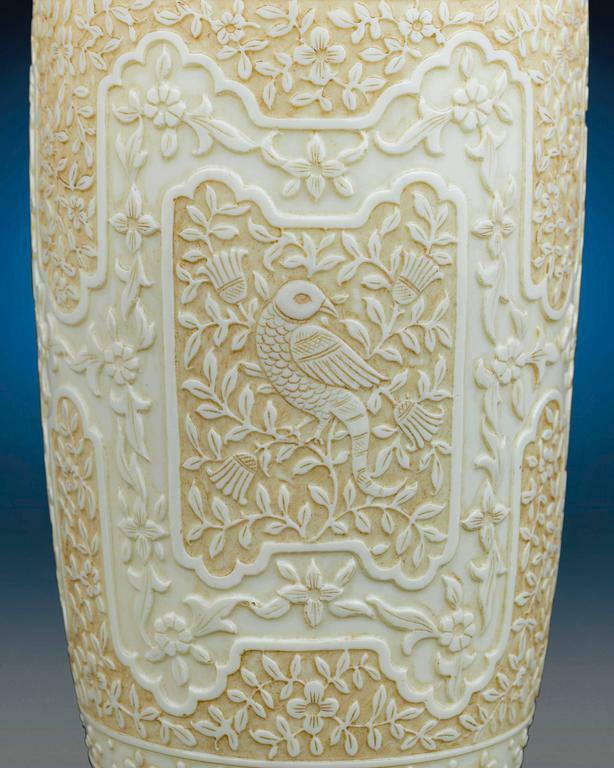 Webb first developed its celebrated ivory glass in the early 1880s, an era of remarkable inventiveness for the famed glass company. 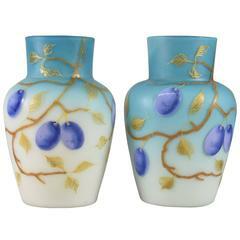 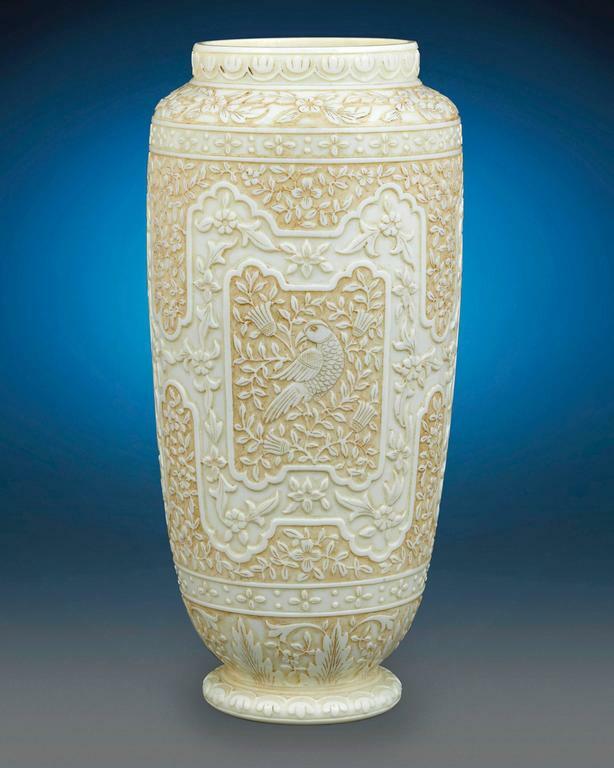 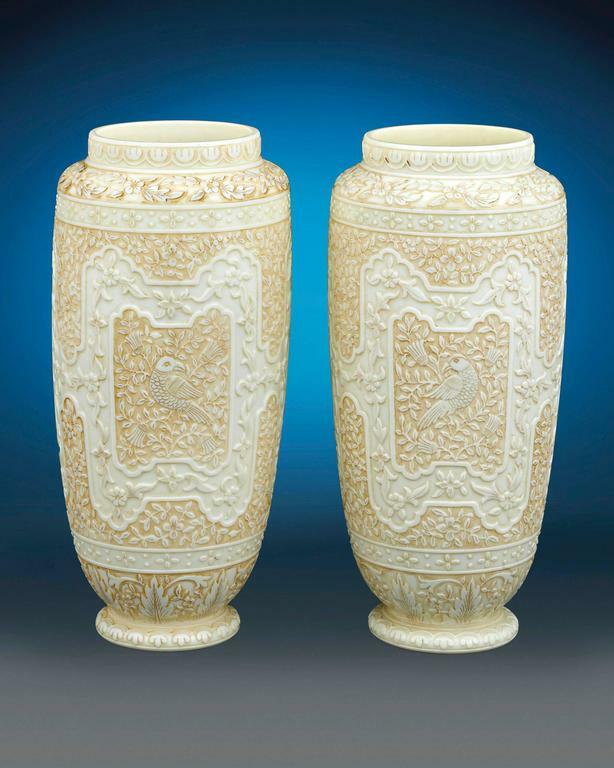 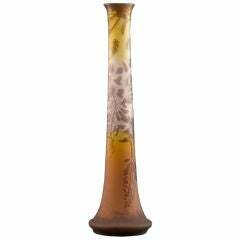 Designed to emulate the Japanese and Chinese ivory carvings that were highly sought after by the British upper class, Webb ivory glass pieces are often found in highly detailed Oriental styles. 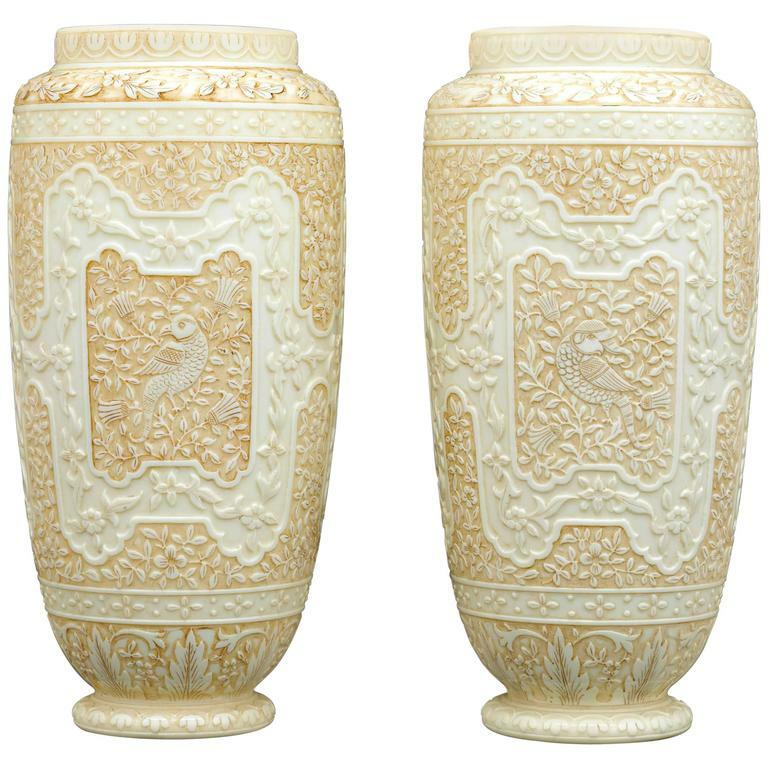 This exquisite pair is no exception, boasting an elaborate design blanketed in flowers and leaves with three central panels surrounding stylized cameo birds. 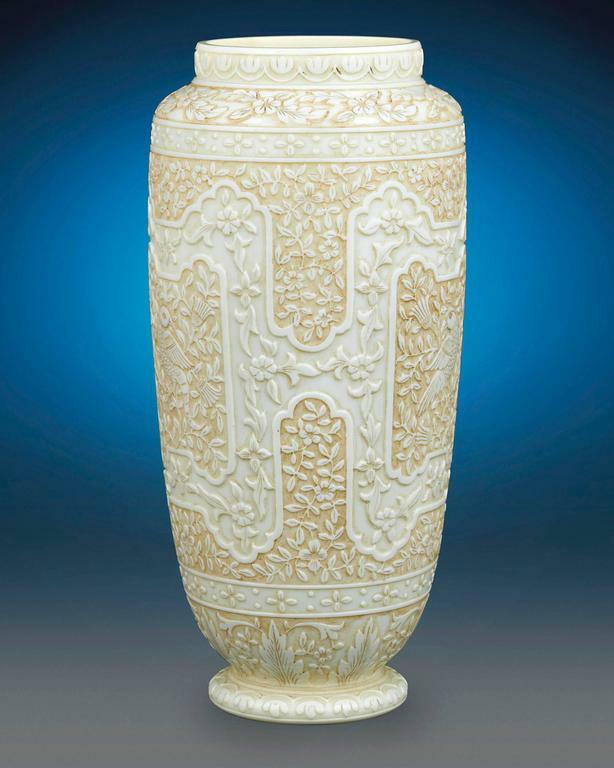 The skillfully etched and overlaid decoration beautifully complements the delicate ivory hue of the translucent glass background. 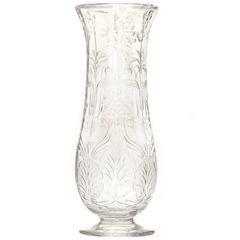 High detail and exceptional artistry place these vessels among the finest English glass found today. 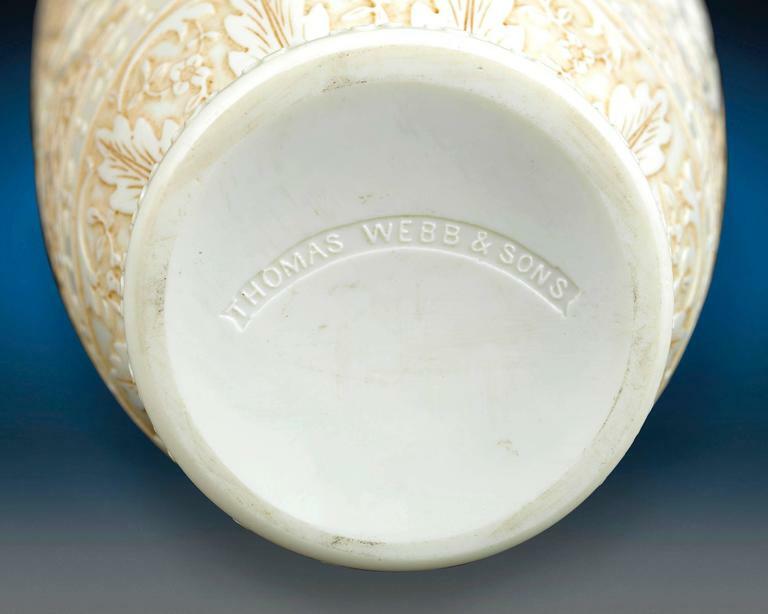 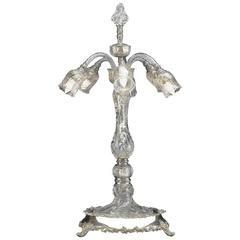 Signed "Thomas Webb & Sons," English, circa 1890. 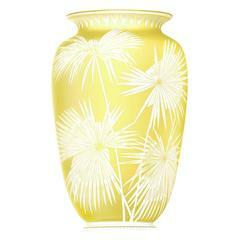 8 1/2" high x 4" diameter.